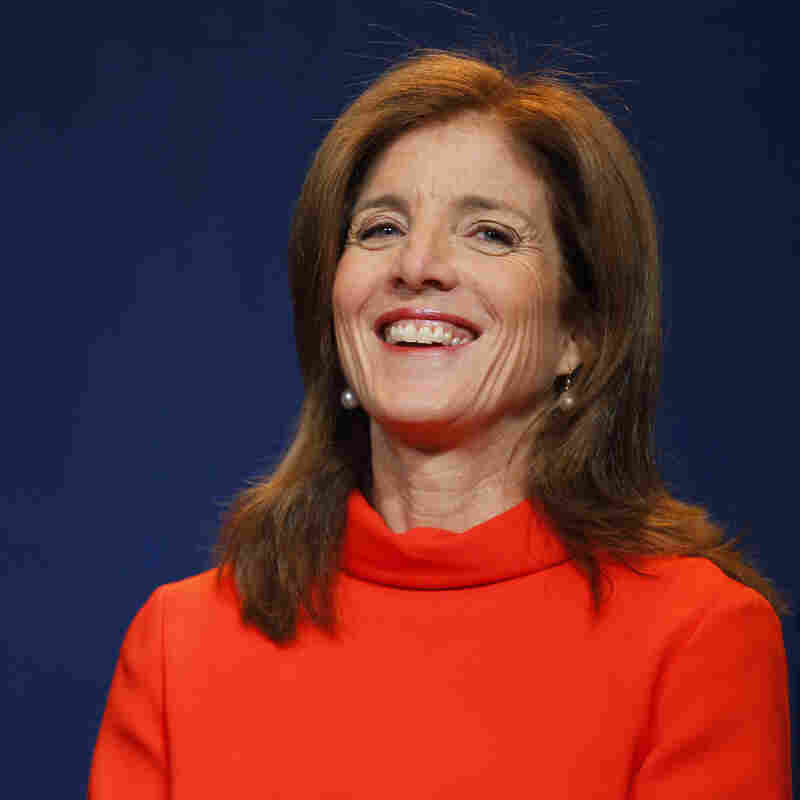 Caroline Kennedy To Be Ambassador To Japan? Talk Grows : The Two-Way The daughter of the nation's 35th president has been talked about as a potential envoy to Tokyo. Now, multiple news outlets say they've been told she's President Obama's choice and is being vetted for the job. There's been chatter in Washington for the past month or so about Caroline Kennedy being tapped to be the next ambassador to Japan. On Monday, that talk ramped up with reports from CNN, ABC News and The Washington Post's In the Loop blog that President Obama wants JFK's daughter to be his envoy in Tokyo. CNN says that Kennedy, 55, is "being vetted for the post." As The Atlantic Wire notes, "Kennedy was a very important donor for the Obama campaign in 2008 and again in 2012, when she was a co-chair of the president's re-election campaign." Caroline Kennedy in May 2012. "An attorney and the editor of nine New York Times best-selling books on constitutional law, American history, politics and poetry. She is president of the John F. Kennedy Library Foundation and a member of the John F. Kennedy Profile in Courage Award Committee. ... From 2002–2011, she was vice chair of the Fund for Public Schools, which raised over $280 million to support public school reform and engaged a record number of New Yorkers to volunteer in New York City schools." According to the Boston Globe, current Ambassador John Roos "is expected to step down from the post after three and a half years."